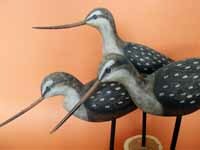 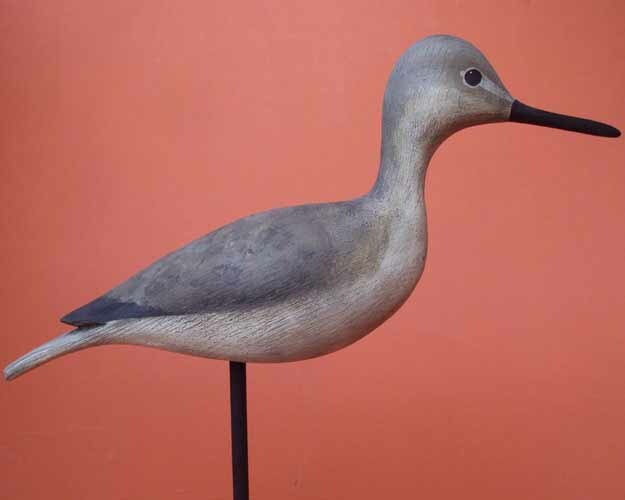 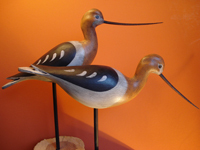 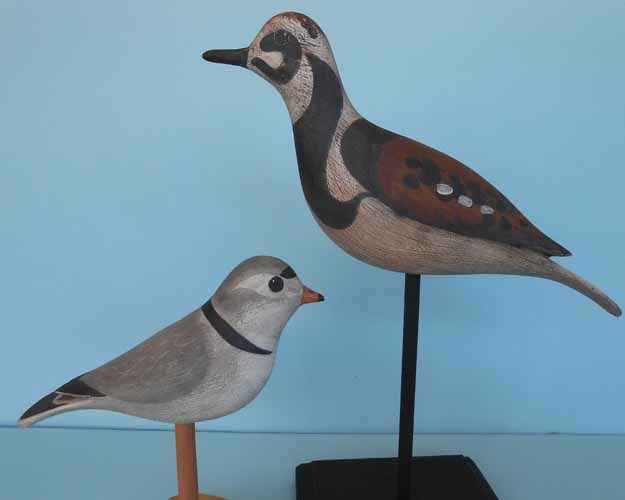 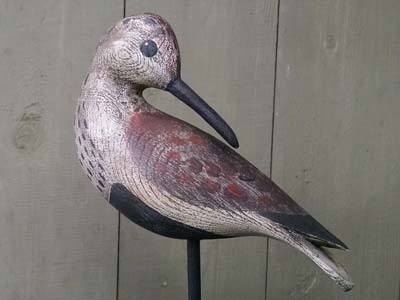 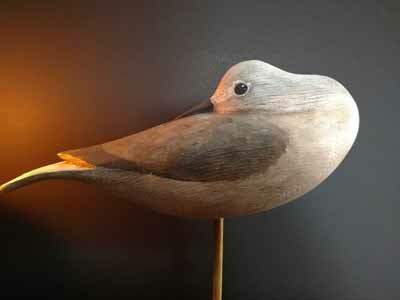 Laurel Dabbs has been using antique hand tools and Atlantic white cedar to make authentic working decoys, shorebirds, and songbirds since 1988. 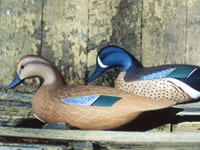 She learned the craft from a gifted carver and hunter’s guide who carried on the traditions of his own family history. 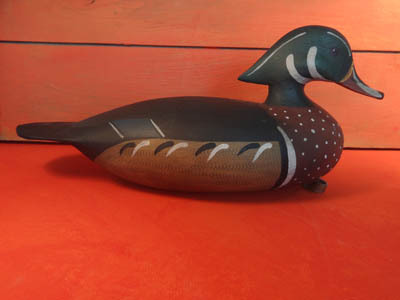 She believes the tradition and history of her work are as important as the style and form of her carvings—each decoy must be seaworthy and durable as well as beautiful. 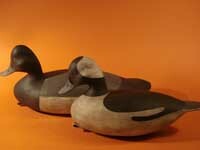 Dabbs’s gunning decoys start as 8-foot planks of white cedar, winter-cut and air-dried for at least two years. 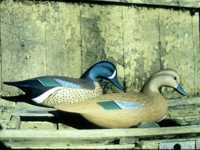 Using a hatchet, mallet and gouge, spokeshave, and carving knife, she attaches the doweled (for strength) head to the hollowed-out body. 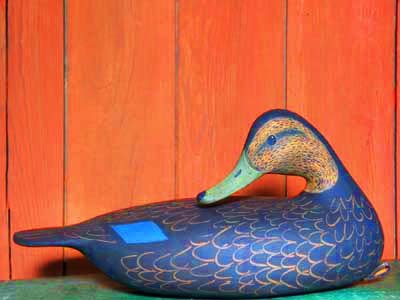 Durable house paint assures a sturdy finish that stands up to the rigors of field use, while inletted lead enables the decoy to right itself in choppy water or sit nicely on a mantel. 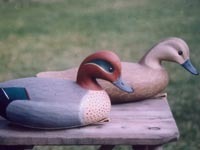 Winner of the 2002 Harry V. Shourds Memorial Master Carver Award, Dabbs always takes her bench to demonstrate carving at living history events and museum programs, most recently at Shelburne Museum in Vermont. 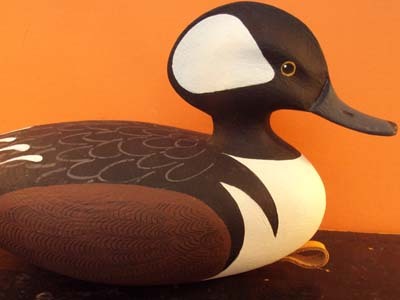 Dabbs believes learning about this most American of folk arts is important for school groups and Scout troops, as most young people have never seen such a thing and also happen to find wood chips flying everywhere exciting. 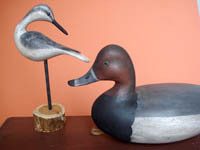 She also demonstrates at various wildlife and conservation events, including Ducks Unlimited and the Audubon Society.